As hunters and outdoorsmen, we have all heard the stories about wilderness survival. The afternoon hunt that turned into a week-long affair, in a place the hunter has hunted hundreds of times and it went bad. It went bad quick fast and in a hurry as they like to say in the military. It is important that we have some sort of preparation if everything goes bad and we find ourselves in a survival situation trying to make it home to our family and loved ones. There are a number of things that come to mind when you start talking about wilderness survival, and I myself am no survival expert, but I have taken the preparations to be ready if a crisis should occur. It doesn’t have to be drastic measures either, just keeping some simple gear on you that doesn’t weigh much and take up a lot of room may be the difference between life and death. Besides having gear, having a game plan in place and letting someone know the area you will be in is also important. All of these factors may help you survive the worst possible circumstances from the beginning. This article will cover some of the basic gear needed for survival as well as some key points that you should consider if you do find yourself in a survival situation. While gear can often be heavy and cumbersome, you don’t have to load down on wilderness survival gear if you are going to your regular spot on your property. A small kit may be all that you need. 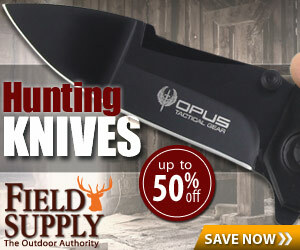 Obviously, the gear you choose will be dependent on the hunting that you are doing. If you are going on an elk hunt in unfamiliar territory, you may want to pack more than you would on a regular deer hunt. Either way, I will cover some of the basics, that I have in my own survival kit and some things that may be good to keep on hand for any number of emergencies that may occur while hunting, fishing, or hiking. First and foremost you want to have any medicine you may need and up to five days worth of that medicine. Also, you will want to have a cellphone or a radio. While cell service can be tough to get in certain spots, a radio may be your ticket home and will offer you a connection to anyone that will be monitoring radio stations when they come looking for you. It isn’t a bad idea to bring batteries with you or a miniature solar-powered device that can recharge your cell phone. These are relatively inexpensive and may save your life someday. Another key piece to bring is a compass. It is important also to know how to use a compass, and there are some pretty basic courses online that you can learn from. You could also invest in a wristwatch GPS or small GPS and pre-plug points of civilization, and it can show you how to get back to where your car is. Some other key pieces of gear you may want to pack is a small medical kit. Just for basic emergencies, some ibuprofen, bug sting spray, sun block, band-aids, sling and a thermal blanket will help ensure you are protected. Some of these kits also come with iodine that will help make water potable. Outside of the medical kit, you will also want to have a firestarter of some kind. There are easy ways to make your own firestarters on the internet, or you can buy your own kits online. I also have a whistle that is attached to my backpack that I can use for signaling, and last but not least a small metal cup that will allow you to boil water in it. Now what is listed above is the bare minimum that I carry into the woods. I usually place all of my survival gear in a waterproof Pelican micro case. They also sell relatively cheap survival kits that come prepackaged and have the main essentials that you will need for almost every survival situation. I will always carry a flashlight with extra batteries, and other pieces of my hunting gear can easily be converted for a survival situation as well. The gear should be dependent on the terrain and the environment that you are traveling in. I will always consider where I am going and what I am doing then adapt my hunting gear as well as my survival gear to match the situation that I am in. You have hunted an area multiple times, and you feel very comfortable with where you are and what you are doing, but this time something isn’t quite right, and you aren’t sure where you are and where you went wrong… This is a pretty common case, and as hunters, we generally hunt until the sun goes down, the environment changes at night and things start to appear differently. If you are unable to get in touch due to poor cell service, it is time to stop. Making an expedient field shelter is one of the first things you may want to consider. It is best not to travel too far from where you told people, and wandering through the woods at night may only lead to more injuries. Instead, with the water you have and some of the gear, the first thing you should do is start a fire and build an expedient field shelter to last you through the night. By the time the day comes you may recognize a landmark or be able to gather your bearings for the next day better. Also, if you left a note with someone and they know the general area you should be in it is likely that the authorities will be looking for you. Survival can all boil down to fire. A fire will allow you to boil water to make it safe for drinking, cook food and keep you warm when it is cold. Having the tools and actually practicing with them is important as well. You don’t want to be out there trying to figure how to use your fire starter when the situation has gone from bad to worse. Taking some time to learn how to use it will increase your chances of survival in the long run. As stated above, a fire is essential to survival. Boiling any water is the only way to ensure that you have killed any bacteria that could have been in the water. Even the cleanest mountain streams carry bacteria, and the last thing you want to do in a survival situation is getting sick from bacteria. Your body needs to conserve all of its strength, and getting sick will lead to vomiting and diarrhea which will severely dehydrate you and dehydration will eventually lead to death. Also, having a fire may be a key factor in your rescue, as crews are looking for you they will probably at some point use a helicopter or plane, which will be able to see the smoke in the day or fire at night. The fire has been an essential tool for survival since the cavemen discovered it centuries ago. You must be prepared to build a fire and to cook food and boil water on it. It will also be smart to collect wood to keep your fire continuously burning the last thing you want is for a fire to die while you are sleeping. Now that you have a roaring fire, you want to look to build some kind of shelter that helps to protect your body from the elements as long as possible. Any kind of shelter is better than enduring wind, rain, and cold. Protecting your body is critical to survival, and the longer you can stay healthy the better your chances of survival will be. 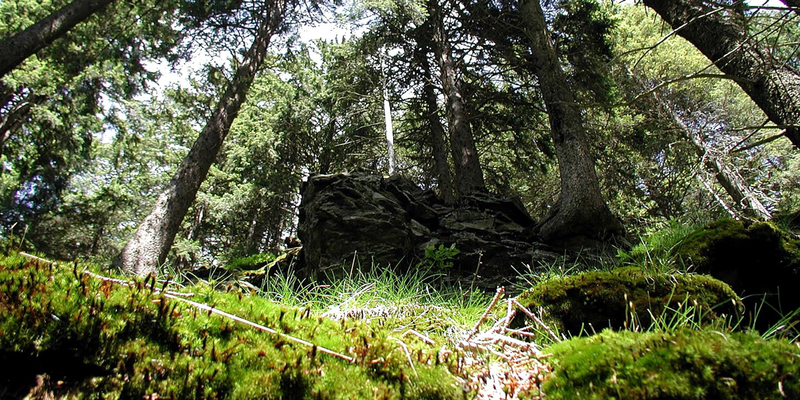 Shelter can either be made or found; the wilderness offers a lot of natural shelters like caves and thick overgrowth that can be adapted for shelter. If you are unable to find a natural cover or shelter, you will have to build your own. While it is not difficult, it will take time, and will consume some of your energy. The most common form of wilderness survival shelter is the field expedient lean-to. This involves taking a large branch propping it against a stump and then laying pieces of leaves down the sides and filling it with foliage to make the lean-to weatherproof. This is an effective way to build a shelter that will keep you dry, and with your emergency blanket, you will be able to stay warm and out of the elements. I have provided a link to the lean-to here. There are other shelters that you can build as well, and I have provided a link here. While in a survival situation you want to stay active, so building and reworking your shelter to make it better will help to keep your mind and body active. So continually collecting wood for the fire and improving your living arrangement will help you to better cope with your situation. With a fire and a shelter built, you will better be able to survive the elements and wait for your rescue to come along. Now that your basic needs have been met, you need to start planning how you will get found. You need to make yourself readily available to any rescue crews that are looking for you. There are a few things that you can do to make the rescuer's jobs easier. First, you can start by trying to clear an opening so that you can easily be seen. As you continue to cut down wood for your fire, if you start close to you, you will make an opening in the woodline that will be easier to spot. Also, you can use your emergency blanket as a signaling device during the day. Most emergency blankets are reflective and are a shiny plastic that will make spotting from the air in the wilderness easy. Laying the blanket down in an opening will help aerial rescuers to see your signal from above. 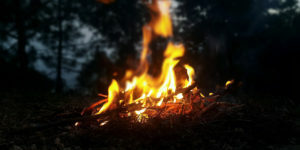 Fire is also important for wilderness survival signaling, many of the rescue helicopter and planes will be using night vision and thermal imaging to scan the ground. A large fire will be easy to spot from the air at night, or if they see smoke, they will know that they should head that way. Either way, keeping the fire burning is essential to your survival, and ensuring that you make yourself easy to find will lead to a quicker recovery. Finally, you want to have a whistle, or you can even use your firearm to signal when rescuers may be close or a plane is flying overhead. Blowing a whistle is an easy way to make noise, and you never know how close a rescue you may be. When the wilderness is thick, and crews are looking for you being able to signal with a whistle may be the last piece you need to be found. I have often heard people say to fire your gun into the air three times when you find yourself lost. I would caution though on firing your gun into the air, not just for safety reason, but you don’t know how long you will need to survive and conserving ammo for hunting may be essential. Finding yourself in a wilderness survival situation may be one of the most physically and mentally demanding challenges you ever face. Having the knowledge of how to survive and what to do are essential in turning your story into a positive experience over a deadly experience. First, you must let people know where you are going. Even if it’s a simple GPS coordinate or a general area, tell a loved one or friend and make sure you tell them when you expect to get back. It makes the rescue teams lives much easier if they know where to start looking. When you are out there, try to stay calm and begin doing the basic tasks that are necessary for wilderness survival. Building a fire and finding a water source will help you to survive. Also, protecting your body from the elements and having some kind of signaling strategy will make it easier for rescuers to find you. The best thing to do is be familiar with your gear and the area you are traveling in and meet your basic necessities like fire, water, shelter, and food. Once this is accomplished, you will be surprised at how long you can last. Hopefully, a situation like this never happens to you but being prepared for the worst is your best option.